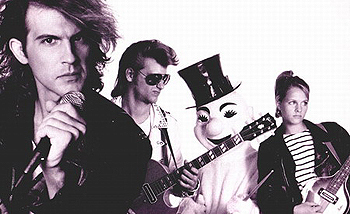 Men Without Hats is a Canadian New Wave group from Montreal, Quebec. Their music was characterized by the distinctive baritone voice of their lead singer Ivan Doroschuk as well as their elaborate use of synthesizers and electronic processing. 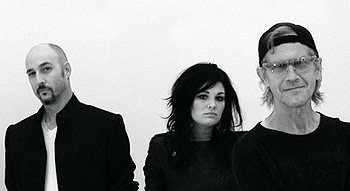 After disbanding in 1992, in late 2010, Ivan reformed Men Without Hats with three hired backup musicians and appeared at the Rifflandia Music Festival in Victoria, B.C. - performing ten songs from the Men Without Hats back catalogue. Doroschuk then embarked on a "Dance If You Want Tour 2011" which included a well attended and positively received performance at Austin's South by Southwest event in March, 2011. Exclusive Magazine recently sat down with Ivan Doroschuk and discussed his baritone voice, their super-catchy 'The Safety Dance' song, and, of course, ... Penguins! Taking it from the top and Men Without Hats was characterized by the distinctive baritone voice of lead singer Ivan Doroschuk, as well as their elaborate use of synthesizer and electronic processing, of course - so today, all these years later, does that baritone voice still exist?! "Sure, I’m still around, and have the same voice as before." Being that MWH achieved their greatest popularity in the early to mid '80s, inclusive of their most successful single, 'The Safety Dance,' what was it like being in the band at that time? Looking back, do you think you handled it as well as you should have done? "I don’t think that any young bands can handle early success perfectly, there’s always things you’d go back and change. That’s true for my professional life as well as my personal life," he laughs. "But at that time, it sure was a great ride, I’d recommend it to anyone. The 80s were also a good time to be involved in electronic music, because that’s when a lot of new gear was coming out, i.e. the PRO5, PPG, sequencers, Macs. Nowadays, pretty much everything has already been invented." Indeed, and with regard that ultra-successful single, 'The Safety Dance,' do you consider yourself a one hit wonder band, perhaps? "A 2-hit wonder! There’s was also Pop goes the world. But hey, one hit is still way better than no hits at all!" And even though various band members came and went, there always seemed to be a Doroschuk in the band - indeed, there were three (3) at one time! A bit of a family affair, one might say! "MWH has always been myself and my brother Stefan, even now, even though I’m touring alone, Stefan is still a big part of the band." And, for the record, once and for all, just where did the bands name originate? "It was just something that we got off of the top of our heads." With that in mind, who came up with the lyrics for 'The Safety Dance,' and to this day, be honest, does it all make sense?! "I write all the lyrics, and yes, it still makes sense. It’s about how you don’t have to conform, you can be an individual." And with regard those lyrics, what does this really mean: "As long as we abuse it, Never gonna lose it, Everything will work out right"? "It means as long as we get our true selves out there a lot, we’ll never lose our own identity, and everything will work out right." The one track I love from MWH was their cover of ABBA's 'SOS' from 'The Adventures of Women & Men Without Hate in the 21st Century'! How did the covering of that song come about, and where on earth did that album title originate? "It’s just a song that I’ve always liked. 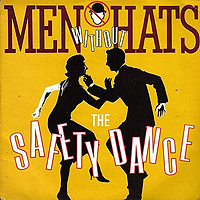 The title of the album is a little play on Men Without Hats-Hate. The “women” were included because I like women!" You reformed MWH in late 2010, with three hired back-up musicians, and set out on the Dance If You Want To Tour 2011 - will this tour ever come here to (the) Detroit, MI (area), perhaps? "Hard to say, but you never know, we’ve played Detroit quite a few times over the years, once on July 4th if I remember correctly." Will there be a new MWH CD in 2011, perhaps? "There will definitely be new songs coming in the not too distant future, but most likely one at a time - sold on iTunes. Once 10 or so songs have been released, we might put out a hardcopy of them together." Lastly, and throwing you a journalistic curve ball, Exclusive Magazine love penguins ... do you, perhaps? "Being from Montreal, I’m a hockey fan, so that means I like Sid the Kid - whose favorite team growing up were the Habs - and, of course Mario the Magnificent as well. So that would be a yes, I like penguins!"